As I mentioned the other day, we find out if we're having a boy or a girl in two weeks. I'm really hoping for a girl (and believe it or not, Nolan is too!). Pretty much since we found out we're pregnant, I started pinning nursery inspiration. If it's a girl, my current craft/guest room will become the baby's nursery. If it's a boy, Jace will get a new room and the baby will get his nursery. But we're hoping for a girl. I'm envisioning a soft, bright and colorful room inspired by this picture. And I don't think you can get much prettier than these. I think I'd paint the walls a very soft, pale tuquoise, and then bring in the pinks, peaches, corals and greens with the bedding. We have a white crib and I'd leave our white daybed in there and top it with fun, matching fabrics for the bedding. 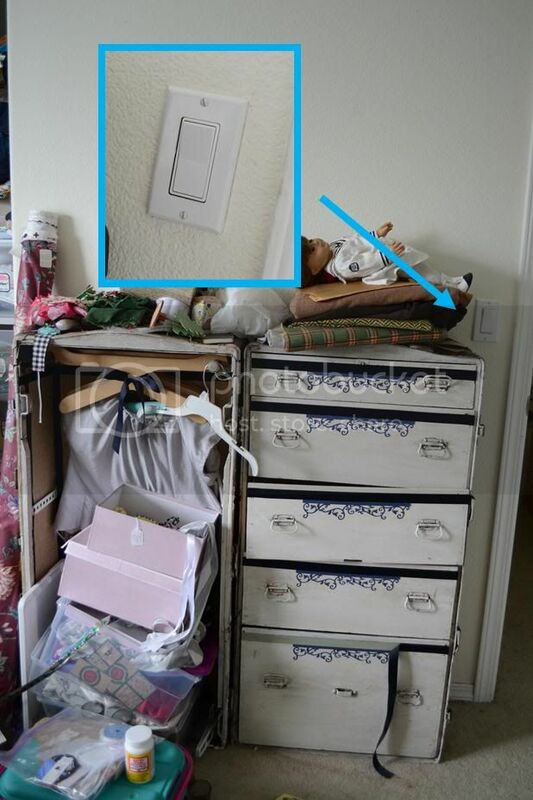 Right now the wall is [scary and] builder grade white and the light switch plate is plane jane white as well. Wouldn't this wall look so cute in the light turquoise with a coral colored dresser sitting in front of it? Cute, right? 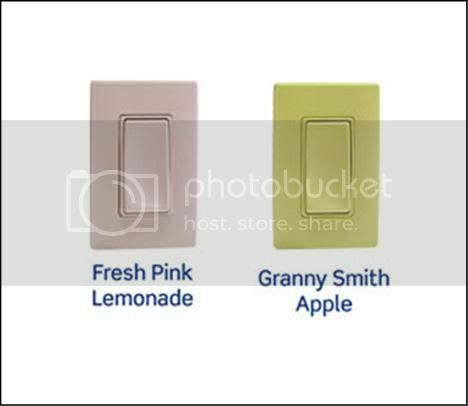 But what would take it one step further to add some extra wow factor would be a cute, colored switch plate. Aren't those colors cute? I could go for either one! They're from the new Renu line by Leviton. They make awesome and stylish switches, wall plates and dimmers. And they come in 20 colors, so they're sure to fit with your decorating theme! These plates are easy to change, so adding this stylish touch shouldn't add any stress to your decorating. If you're interested in adding this touch of color to a room in your home, but want to get to know more about the product (or win some gift cards to Home Depot! ), Leviton is hosting three Twitter parties. It's too late to jump in on two of them, but you can still join the party on Wednesday, May 2nd 9pm EST. All you need to do is follow @Leviton and #Renu for the twitter event and participate. Or just check out Leviton on Facebook for more information.